Hold onto your headsets, it's time for Field of view — our look back at all the VR and AR happenings from the last week that you may have missed. This week we've already seen some reports regarding the arrival of Magic Leap and HTC's first Daydream headset, the HTC Vive Focus, as well as taken a deep dive into Facebook's AR plans, but there's plenty more to delve into. So for all the news, video and game recommendations you need for this week, read on. After employing its own AR filters for some time, Snap has finally brought its Bitmoji avatars to the Snapchat dimension. The move comes around a year after the latter was acquired by Snap for $100 million, which until now has seen the personalised avatars act as stickers to add to Snapchat messages. Now, by tapping on your phone's screen, you see your avatar pop up either grumpily drinking coffee, as shown below, playing guitar, taking part in some yoga and even skateboarding. The figures manage to use the camera's depth to seek placement, much akin to the tech used in Pokemon Go. However, the subplot here is Snap's continued push into the field of AR. 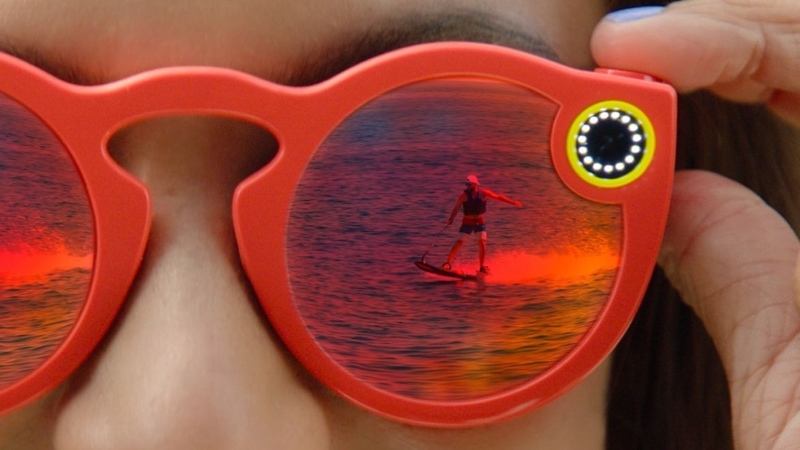 We already know its Snap Spectacles were the first piece of hardware on a long roadmap, so don't be surprised if you see your Bitmoji and other AR exploits from Snap appearing through a pair of glasses sooner rather than later. Just when you thought tearing up the Street View scene couldn't get any more immersive, Google has brought the feature to Google Earth VR and the users of Oculus Rift and HTC Vive. The new integration will allow you to rotate around the likes of Florence's Santa Maria del Fiore Cathedral or Seattle's Space Needle with one controller and zoom around the landscape a Superman-esque way with the other. This is what you came for, right - all the breaking news in the headset strap game. Well, as it goes, this one could actually affect those looking to pick up the Acer Mixed Reality headset. Initially, with the development kit, the headset launched with a buckle strap. This resulted in things being a little awkward to adjust when under the hood, but Acer's product page appears to show the consumer version with an adjusting wheel akin to the rest of the Windows MR litter. Comfort is king, after all. After splitting way back in 1982, much to the dismay of dancing queens everywhere, the Swedish group is returning to the stage as a virtual reality act — yep, you read that right. The show is set to feature the four band members in digital form alongside a live band, though unfortunately this wild situation won't be gracing headsets until the faraway time of 2019 is upon us. Although its been available through the HTC Vive for some time, Vindicta is ready for Oculus Rift users from this week. The first-person shooter essentially sees you travel through the campaign by taking out throngs of robots by dual-wielding weapons and making use of its swinging arm locomotion mechanics - what more could you ask for? And since it's not often we see a package like this actually feel fluid, Vindicta is worth your time. We've talked plenty about the creativity we've already seen from developers using ARKit, and this latest clip is yet another example of the fun we have in store for when the AR hardware catches up. Especially handy for anybody who wants to trick fellow humans into thinking they have a Tesla in their driveway and care for Mother Earth, Twitter user @JelmerVerhoog has taken to ARKit to develop an AR version of the car. Not only can you customise the paint, interior and wheels, but you can even drive the car, too.